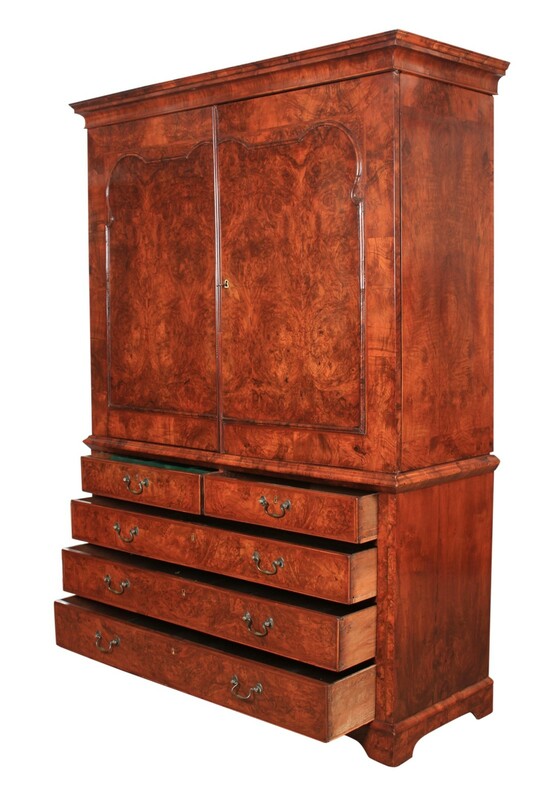 This early 18th century cabinet is offered in showroom condition, ready for the home. 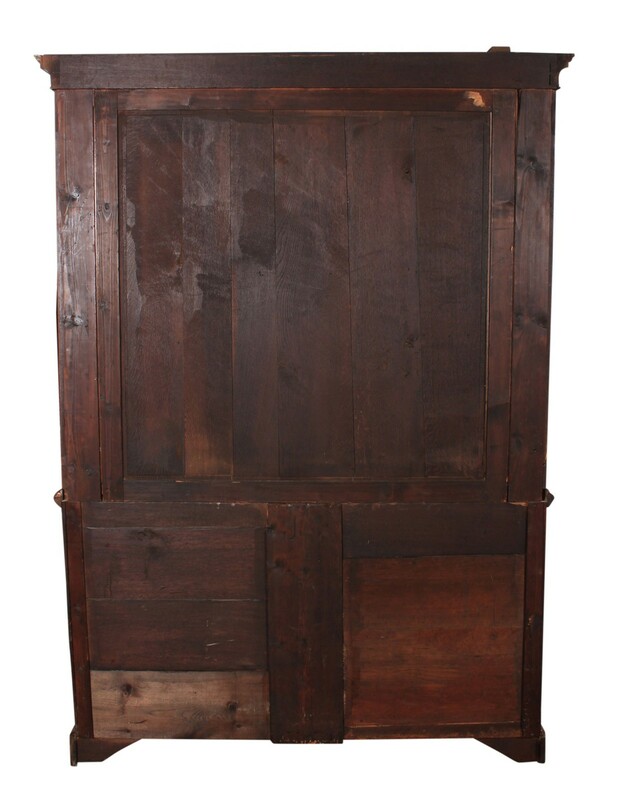 Boasting a wonderful colour and patina, 2 beautiful burr walnut doors with shaped moulding and feather banding. These doors open to reveal 2 removable shelves and 3 small drawers. This could easily be fitted with a hanging rail if preferred. The cupboard doors have a working lock and key. 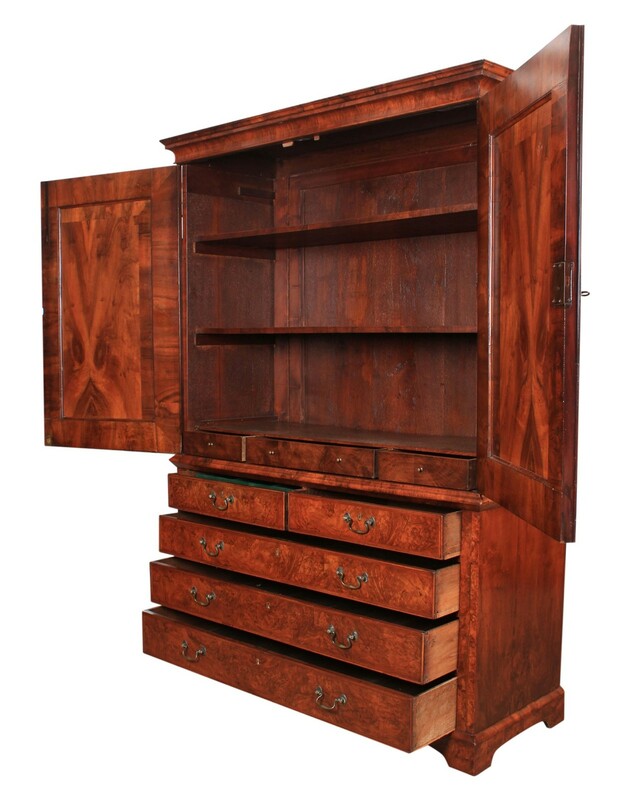 The base houses 2 short drawers over 3 long drawers of solid dovetailed construction. The drawer fronts are cockbeaded and feather banded, with brass swan neck handles. 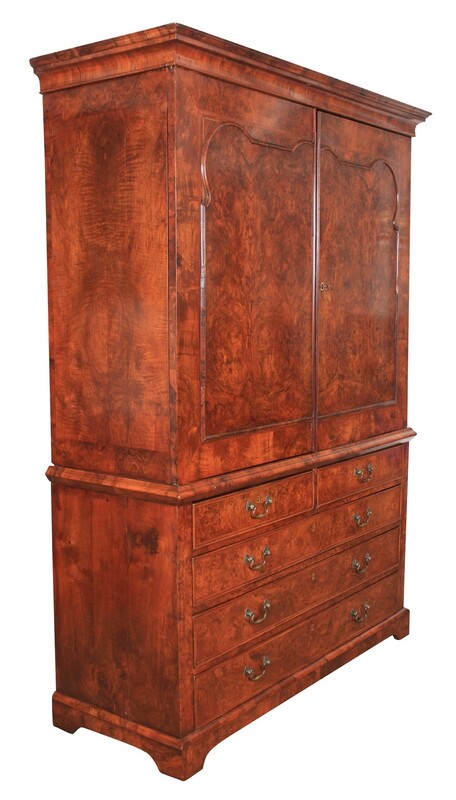 LT Antiques buy and sell quality antique furniture worldwide. 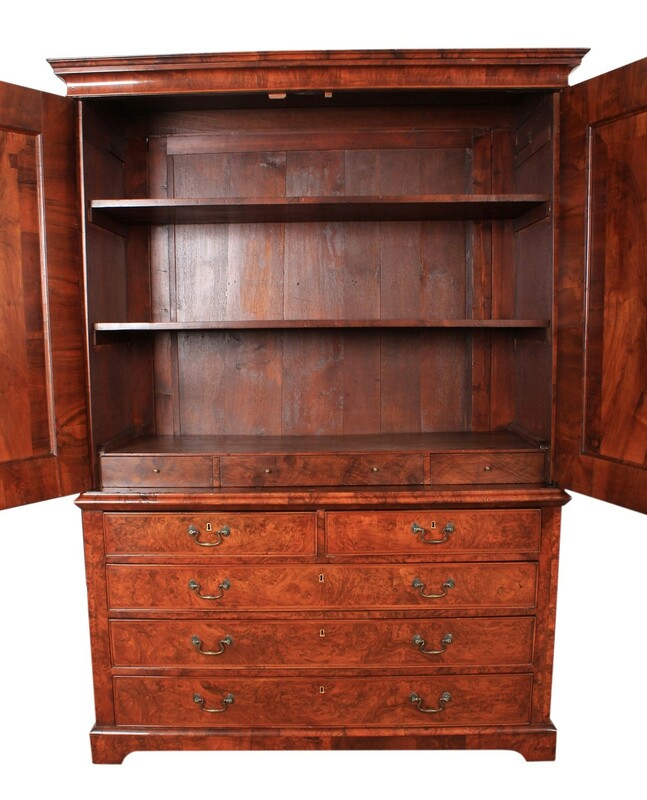 Based in Detling, near Maidstone in Kent, we are the second generation in our family of antique dealers and so have a history of knowledge and a natural eye for seeking out quality. We hold a very large inventory of items and clients are welcome to view, but please make an appointment first so that we can be sure to be around to welcome you.